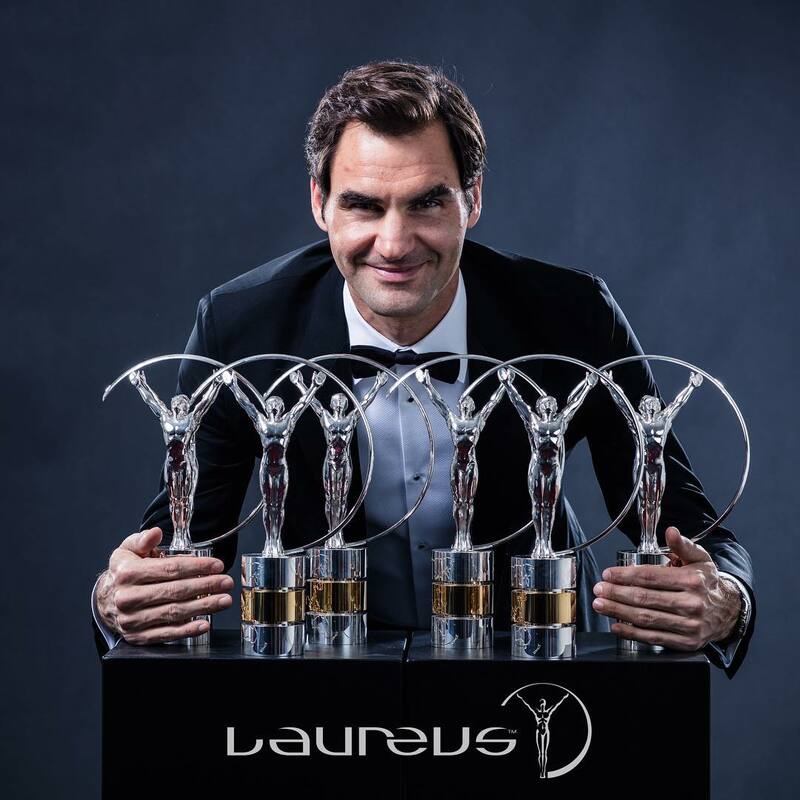 The Laureus awards have come to a close and it just so happens that not one, but TWO, tennis players take the Sportsman….I mean SportsPERSONship awards. That’s right, Roger Federer won and so did Serena Williams for the 2017 performances during the tennis season. What are the Laureus Awards? The Awards Ceremony consists eight categories with the potential for additional discretionary Awards given. Each winner receives the Laureus Statuette, crafted by Cartier, with its representation of the striving human form against an engraved representation of the continents. Though the Laureus World Sports Awards brings a high profile focus onto the very best of professional sport, it is also those at the grassroots that benefit. The Awards showcase the work of Laureus Sport for Good, a charity which uses the power of sport to end violence, discrimination and disadvantage, proving that sport can change the world. Each year stars from the music, film, television and fashion industries join sports stars for this truly global event that is watched by a television audience of hundreds of millions of people, on some of the world’s top networks, in over 160 countries. That sounds pretty great. Definitely something to award athletes for their most impressive accomplishments and contributions to the sporting world. It’s no secret that Roger Federer has had an incredible career, with long highs and plenty of lows; though his 2017 ATP tennis season was probably the most impressive. Especially at the age of 36, winning the Australian Open, the “Sunshine Double” (Winning Indian Wells and Miami in the same season), Wimbledon, Halle, Shanghai, AND Basel. As well as getting within spitting distance of Rafael Nadal’s #1 ATP ranking. At the Laureus Awards, Federer collected awards for Sportsman of the Year and Comeback of the Year. The Sportsman of the Year award is his sixth Laureus Award, yet another record he’s broken. 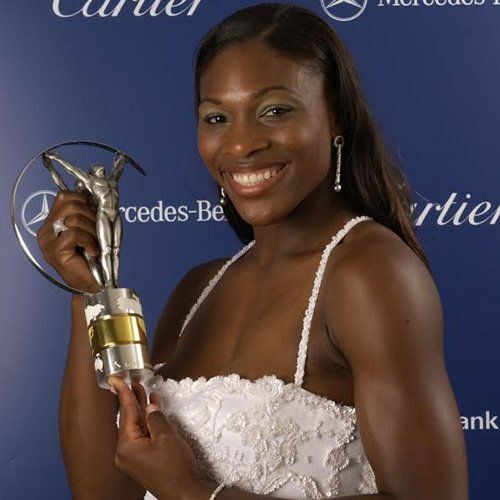 Serena Williams won her first Sportswoman of the Year award for her 2017 WTA performance. This one is bit tricky though, Williams only played 9 matches across 2 tournaments in all of 2017. Of course, her absence was due to giving birth to her first child with partner, Reddit Co-Founder, Alexis Ohanian. Given the timing of her pregnancy and the 2017 Australian Open, Williams would have been somewhere in the first or second month of her pregnancy. That is fairly impressive; however, I don’t know if that makes her The Sportswoman of the Year. There have been many other women who have competed at the highest levels in their discipline while carrying a child. The honorable mentions aren’t as decorated in their careers as Williams is, but the award is for the year of 2017 not a career. In 2017, the honorable mentions were Allyson Felix (USA), Katie Ledecky (USA), Garbine Muguruza (ESP), Caster Semenya (SA), and Mikaela Shiffrin (USA). I’m not questioning Serena Williams as being the greatest female tennis player ever in the history of the sport, I’m just questioning the awards, “Laureus World Sportswoman of the Year 2018.” Just seems like participating in 2 tournaments and winning one tournament seems a bit odd to be considered The Sportsperson of the year. I am looking forward to Williams coming back to the tour and put in a full season, I don’t think she’s quite done winning yet.